Brand new for Fall 2011, there are two new REV'IT gloves designed specifically for female riders for use in multiple seasons and all weather conditions. The REV'IT! Orion GTX Ladies Gloves are modeled after the men's version of the same name but they are modified to accommodate a woman's hand. The REV'IT! Zoom H2O Ladies Gloves are a more affordable, albeit slightly less technical option that will get you through all conditions. If you're looking for textile, the Orion will be the choice for you. 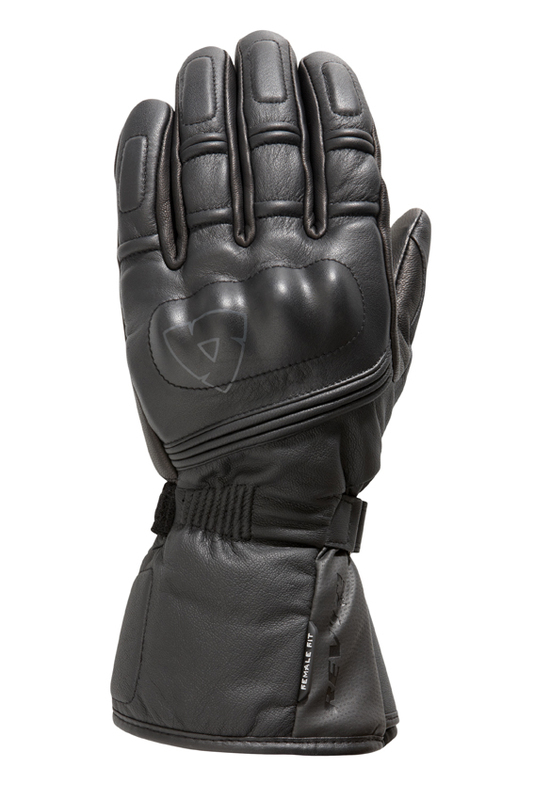 If you want the slick style of a leather cold weather glove, look to the Zoom H2O for all your needs. While we've not detailed these in video form yet, we'll break down the features of each glove. The Orion gloves feature an extremely technical shell, with 1000D Cordura ripstop, PWRShell and PWRWax 500D, and goatskin at the palm comprising the materials used. 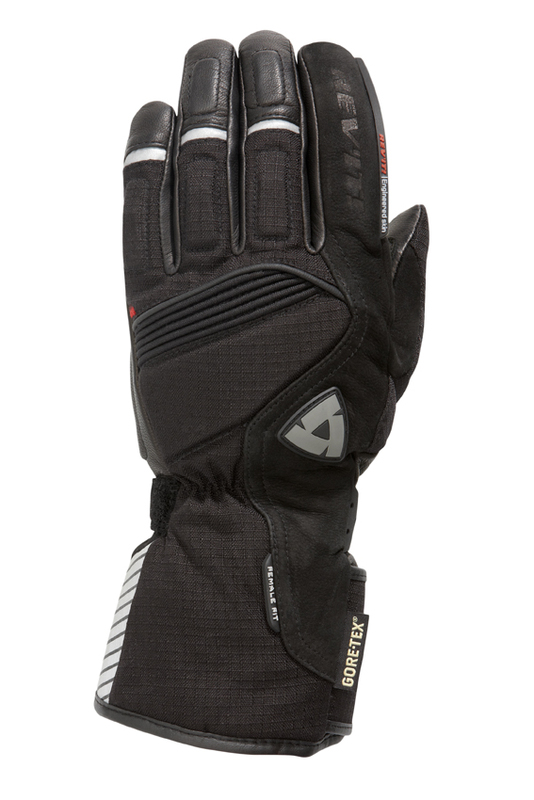 What sets this glove apart is the Gore-Tex waterproof breathable membrane that will completely protect you from precipitation while allowing perspiration to escape. The Thermolite insulated liner will keep you warm while the EVA foam provides protection from impacted at the knuckle, thumb and palm. There are also injected PU protectors at the fingers for protection. Small details like the grip patches, visor wiper, stretch paneling and Teflon coating are what we continue to see from REV'IT! that sets them apart. The REV'IT! Zoom H2O Ladies Gloves are a goatskin and cowhide construction for a slim and sleek look that couldn't be more feminine. The Zooms feature a Hydratex waterproof breathable membrane that will keep all the water out while letting your hand to breathe. For armor, there is a leather-coated hard part main knuckle, with EVA foam at the fingers, cuff and the palm. Strategic grip panels can be found on the palm, and the Fiberfil (highly insulating) liner will keep you warm and cozy in the cold weather. The wrist adjuster strap and main velcro cuff closure allow you to cinch the glove down and ensure that wind and water won't creep in. A solid choice for the sport tourer, no doubt. Check out our review of the men's version of the REV'IT Orion GTX. The women's version shares exactly the same features with a different cut.